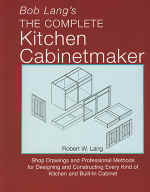 Click Here for information about "Woodworker's Guide to SketchUp"
Click Here for information about "Bob Lang's Complete Kitchen Cabinetmaker"
Click Here for information about "Drafting & Design for Woodworkers"
"Great Book of Shop Drawings for Craftsman Furniture"
"Shop Drawings for Craftsman Furniture"
This new book contains all of the drawings from the original books, an updated introduction with new photos of original Mission furniture as made by Gustav Stickley and Harvey Ellis, as well as photos of the steps for recreating these Arts & Crafts furniture masterpieces. 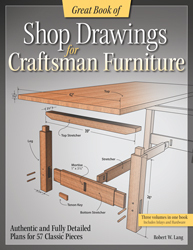 Working drawings and cutlists are included for 57 authentic Craftsman furniture pieces. 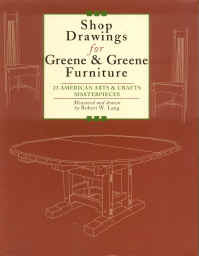 "Shop Drawings for Greene & Greene Furniture"
When you purchase one of these books from Craftsman Plans, you are buying directly from the Author. Your credit card order is securely processed through PayPal, and each copy is signed by the author. If you prefer to order by mail, click here for a printable order form, and send your check to the address listed. We cannot take credit card orders over the phone, or by mail. 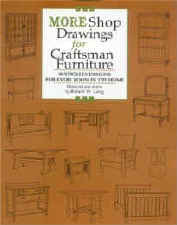 This book is now "Out of Print" but it is part of a new compilation "Great Book of Shop Drawings for Craftsman Furniture"
This is the first book to present accurate, detailed drawings for reproductions of Arts & Crafts period furniture. 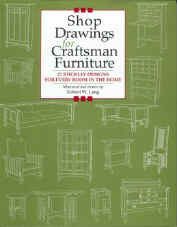 Drawings for 27 pieces of furniture, text chapters on the history of the period, interpreting the drawings and helpful woodworking techniques. 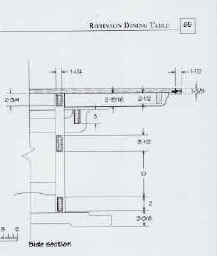 Drawings for 30 additional pieces of furniture are presented along with text on joinery, including 4 ways to make the quadrilinear leg, and upholstery. The first, and only book of it's kind. 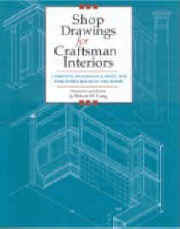 Based on Gustav Stickley's original architectural drawings and The Craftsman magazine, this book contains detailed drawings for recreating or renovating interiors in the Craftsman style, as well as text on reproducing these designs with modern materials and techniques. 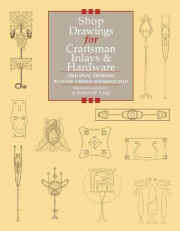 This book is part of a new compilation "Complete Book of Shop Drawings for Craftsman Furniture"
This unique book presents full-size patterns for the inlay designs and hardware originally used in Craftsman Furniture. 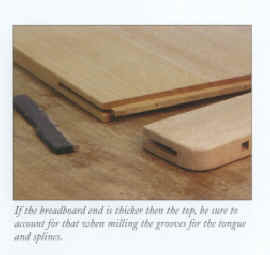 Text includes history of these designs and the designers, materials and techniques.